Includes 10 courses for $999/year. 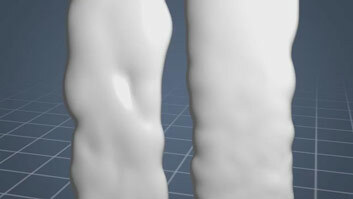 The full course is 32 minutes long and available in a number of affordable formats. In rotary die cutters, the cutting rule and creasing rule are affixed to a cylindrical die board that is attached to a cylinder. 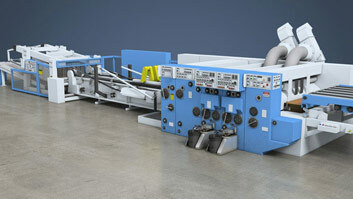 An in-line rotary die cutter can be installed in a flexo folder-gluer, after the printing stations. Die cutters are more often used to produce box blanks with unique or unusual cuts, slots, and scores or creases. 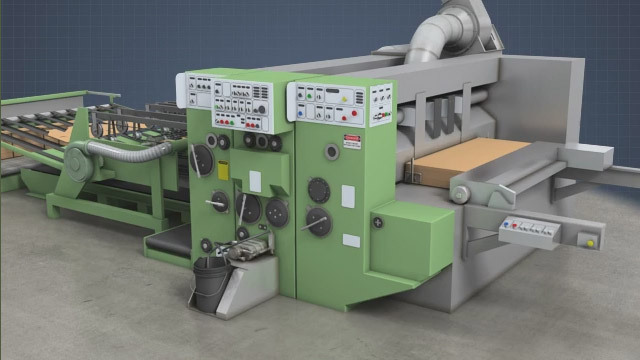 Die cutting is used to produce box blanks and other corrugated board products with difficult or complicated cuts and creases. Die cutters use smooth and serrated metal strips called "rule" to cut and crease the sheets of corrugated board. This course describes the design and operation of platen, rotary, and in-line sectional die cutters. What are "scores" and "slots" on corrugated box blanks? 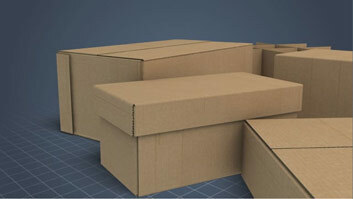 "Scores" are creased lines that are added to corrugated board products to help them fold in the right places, and "slots" are notches that are cut out at box corners to help the top and bottom flaps fold over each other cleanly. 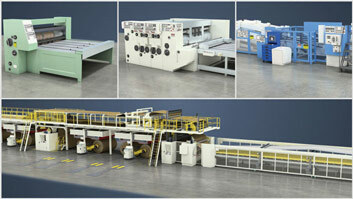 What types of products are typically produced by die cutters? Because die boards can be expensive, die cutters are typically only used to produce corrugated board products with unique or unusual cuts, slots, and scores or creases. What is the difference between a "soft cut" and "steel-to-steel" rotary die cutting? With "soft cut," the cutting die cylinder penetrates into a soft, resilient cover on the anvil cylinder. With "steel-to-steel," the male cutting cylinder cuts against either a solid steel anvil cylinder or a female cutting cylinder. What strategies can be used to extend the life of the soft covers used on some anvil cylinders? The life of the soft covers can be extended by oscillating the anvil cylinder side to side during operation, rotating and trimming the covers, and rotating the anvil cylinder at a slightly different speed than the cutting cylinder. What is the purpose of "ejection rubber" (pieces of cork or hard rubber) on die boards? 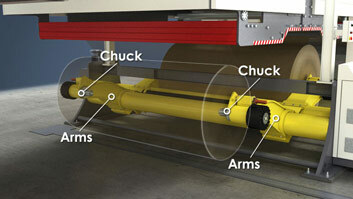 "Ejection rubber" is positioned close to the cutting and creasing rule to help support the sheet during cutting. On platen die cutters, it also helps separate the sheet from the cutting rule as the steel anvil moves down. A die cutter uses a tool to cut and score a sheet of corrugated board to create a shaped box blank. The tool used is called a cutting die which consists of smooth and/or serrated metal strips called rule that are mounted on a solid backing called a die board. Rotary die cutters use a cylindrical die board and a circular motion while platen or flat bed die cutters use a flat die board and an up and down motion. Die cutters are more often used to produce box blanks with unique or unusual cuts, slots, and scores or creases. Die cutters can also add perforated lines and ventilation or access holes to a box. However, because the die boards can be expensive, especially cylindrical die boards, box blanks which require only straight cuts and scores are more often made on printer-slotters.